Simultaneously one of the most diverse and successful Australian bands of the past twenty-five years, Regurgitator are heading to Perth with their latest ‘happening’; a collaboration with German chanteuse Seja and Chinese musician Mindy Meng Wang to perform the landmark Velvet Underground & Nico album in its entirety. The event promises to be a unique and full-on experience, with only two performances scheduled at Gate One Theatre, Claremont Showgrounds on Saturday, June 30 and Sunday, July 1. To find out more, MICHAEL HOLLICK had a chat with Ben Ely of the ‘gurg to find out how the concept came about, what inspired this particular collaboration and what Perth audiences can expect from the shows. Someone seems to have recently plugged the Regurgitator machine back in, or given it a bit of a kick, as there is a lot going on for you guys at the moment. How does this ‘return’ of the ‘gurg feel for you? I am excited. 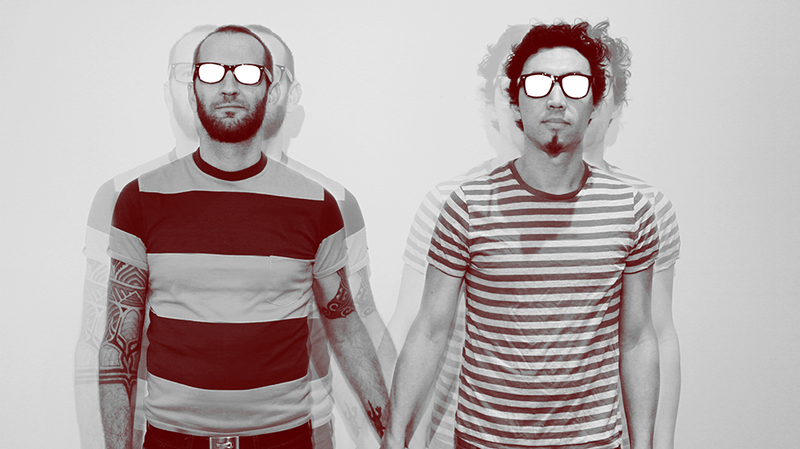 Regurgitator really is a special beast. And you’re right, we do have a heap of stuff in the works, or happening, or in some sort of development at the moment, so that’s really cool. I guess when you start to get the wheels moving, that ‘fun-ness’ element of being in the band just comes flying out and because we don’t do the band thing as often as we used to, we appreciate it all the more. I think it’s the same for the audiences, so it’s a heap of fun for us to just get in the van and do it again. Is it true that you recently just went into the studio? How did the process of this record start? We haven’t done a record since 2013, and we had the time to get together last year and think about putting something together. We played each other a few demos and they all seemed to have a similar theme, about being mentally dysfunctional in the modern world, so it pretty much clicked again. Then we were able to build the tracks into an album fairly quickly. We’ve called the record Head Roxx. We thought that that name really fit the theme of the songs, you know, like good time, rock songs about anxiety (laughs). Before you tour Head Roxx, you have this Velvet Underground show coming up. How did that come about? Our manager was booking a lot of live music for the National Gallery of Victoria in Melbourne last year. And then the Andy Warhol and Ai Weiwei exhibition was coming to town. The manager Paul said, “what would you do if you were to play at this exhibition?” and I said “why don’t we do the first Velvet Underground record, the banana album, with some classical Chinese musicians”, thinking that that would accentuate the Ai Weiwei element of the exhibition. So he told the gallery, and they loved the idea and from that humble beginning, it’s continued to evolve into the current show we are touring. So the bands play in the museum, among the art? Yeah, it’s a pretty cool thing. A lot of the galleries have got in on it now. I think it started in Brisbane, and Paul started booking music on a Friday night for them and it was an inclusive ticket for the band and the gallery. It’s a sweet deal, you can go check out the art and also catch a band at the same time. That must have been great for you as a band, in the middle of Warhol and Ai Weiwei’s work? Oh, it was great. There we were, surrounded by Andy Warhol’s art as we played. It was pretty different to your average studio. So did you know anything about Chinese musicians prior to this? (Laughs) We’ve always been self-taught musicians in a rock band format. I met my wife who is a dancer, and she did a tour of China with Mindy Meng Wang. We were hanging out a bit while my wife was doing the dance show and that is kind of why the idea of adding the Chinese element came to me. Bringing Mindy in really adds this kind of beautiful spin to the music, rather than John’s crazy piano playing and violin you have this beautiful Chinese instrumentation. Can you tell me more about the other artist on the bill, Seja? Seja is a German, and she is tall. And she is blonde and she plays the keyboard. She is a friend of ours and we thought it would be great to get her involved and do all of Nico’s parts. It’s great to get all of these elements together. It’s very exciting for us, as we’re usually pretty stripped back as a rock band. We feel all fancy. Do the shows also have a visual element? They do, and that was a another happy accident. We were playing at MONA FOMA, and as a part of the show the artist Ken West was doing the visuals. And when the Velvet Underground played, back in the day, they played with oil lamps and projections going on. So to have Ken come along and do these visuals really helps interpret the show in this psychedelic kind of way. It’s not like a high action rock show. The visual element really helps add this psychedelic element to the show, and so we just had to take him with us on the tour. With all these elements, do you think that you’re invoking that Warhol-Factory vibe of the Velvet Underground’s early shows? Yes, definitely with the visuals. A lot of people who have come to the shows so far have been big Velvet Underground fans, so we do try and stick to the songs, but there are elements that we can’t help but put our own spin on it. And do you guys perform differently as a result? I think so, like at a traditional Regurgitator show we jump around and get excited, but at the Velvet Underground show it’s more cabaret, it’s more theatrical. So far, I’ve found I have to slow down just so I can take it all in. It’s really quite magical.